What Happens to Your Suit at the Dry Cleaners? AskMen posted a fascinating article about the dos and don’ts of dry cleaning. You can read the whole thing right here. In short, whenever you get your suits dry cleaned, you’re ruining your clothes. Machine wash and hang your dress shirts yourself. If you have to use the dry cleaners, ask for hand ironing instead of machine pressing. Don’t forget to put the kibosh on any starch, that shortens the lifespan of the shirts. 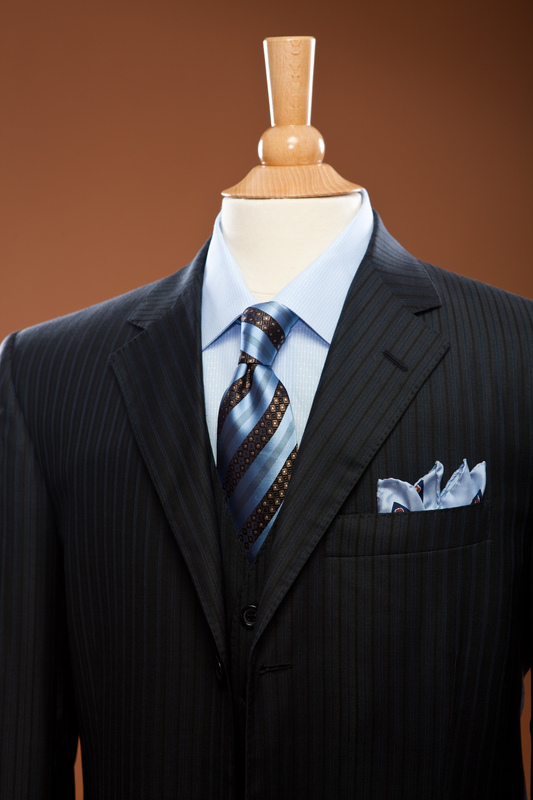 With your suits, only dry clean them once a season, or four times a year. Any more than that, and you’re putting undue strain on the fibers of the suit. Clean any minor spots and stains by hand in-between cleanings. And steam your suits to get the wrinkles out. You can do that with a clothes steamer, which you can find at any bath and kitchen store. If you’re feeling really, really rushed, we’ve known some people who will hang their suit in the bathroom, turn the shower on at maximum heat and close the door for a couple of hours! Don’t do that. Just buy a steamer. If you did get something cleaned, look out for three signs of a bad cleaner: your clothes fit differently, your clothes look shiny and your clothes have mysterious, brand new indents. The shiny thing is the tricky part. We’ve all probably seen that and thought, “wow, it’s so clean, it’s shining!” No… The fabric’s been CRUSHED.